We have a lot of birthdays coming up around here. I've been working hard to create projects for people. 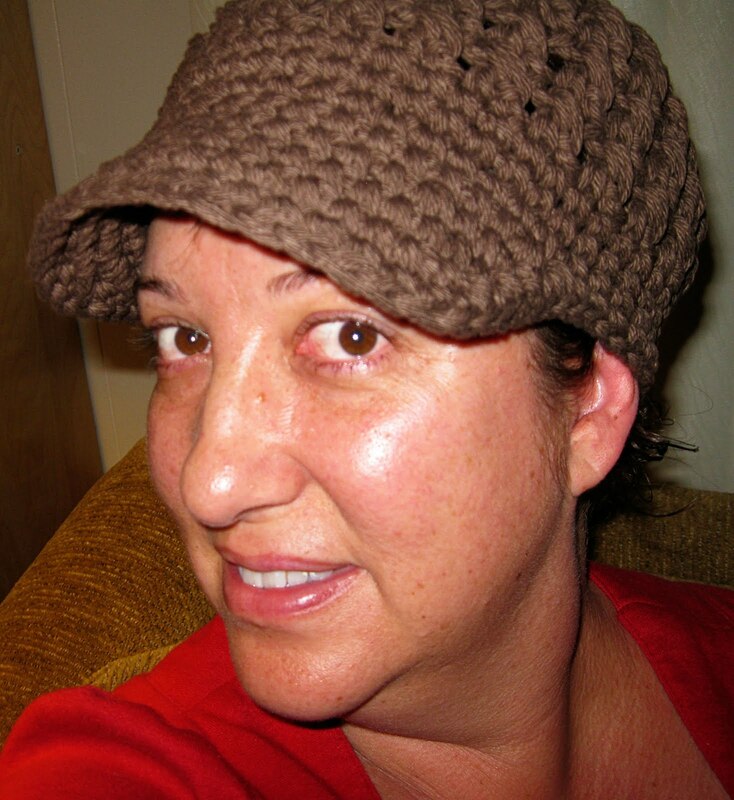 One project was this newsgirl hat. I started it for a very fashionable teenager and fell in love with it. It was inspired by Polkadot Posh and I adapted it for an adult. The pattern was free a few months ago and fits newborns through size 4T, but now is for sale here. If you see this post and would like the edits I made to make this fit an adult, let me know. Look carefully. See those stitches? Those are X stitches. They are actually double crochet stitches that are crocheted to cross over one another. They are really easy and super fun to do. I used Peaches 'N Cream yarn which is very similar to the Sugar 'N Cream yarn by Lily. 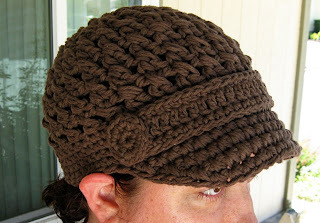 It is a very dense yarn and since this hat is crocheted holding 2 strands, this is a very thick hat. In fact, it is sitting on its side next to me and it is maintaining its shape! Originally, I did not add any embellishments to the hat, but some friends suggested it needed a little more. 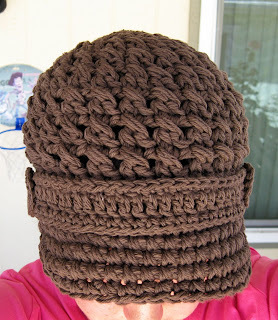 So, I added a band and crocheted 2 buttons to go on either side. Cap without the band and buttons. I added a band and crocheted buttons to the brim.